When you're racing 435 miles through the jungles and mountains of South America, the last thing you need is a stray dog tagging along. But that's exactly what happened to Mikael Lindnord, captain of a Swedish adventure racing team, when he threw a scruffy but dignified mongrel a meatball one afternoon. When the team left the next day, the dog followed. Try as they might, they couldn't lose him - and soon Mikael realized that he didn't want to. 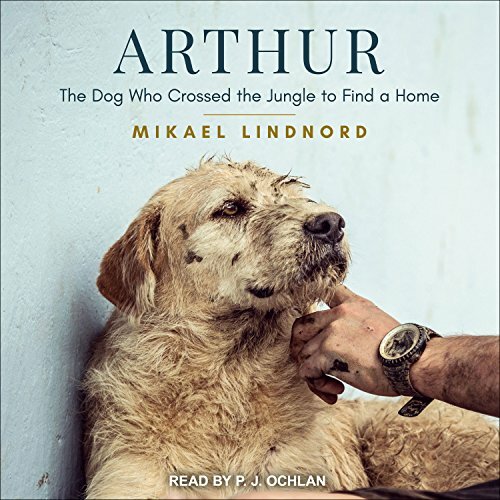 Crossing rivers, battling illness and injury, and struggling through some of the toughest terrain on the planet, the team and the dog walked together toward the finish line, where Mikael decided he would save the dog, now named Arthur, and bring him back to his family in Sweden, whatever it took. In compelling prose, Arthur provides a testament to the amazing bond between dogs and people.